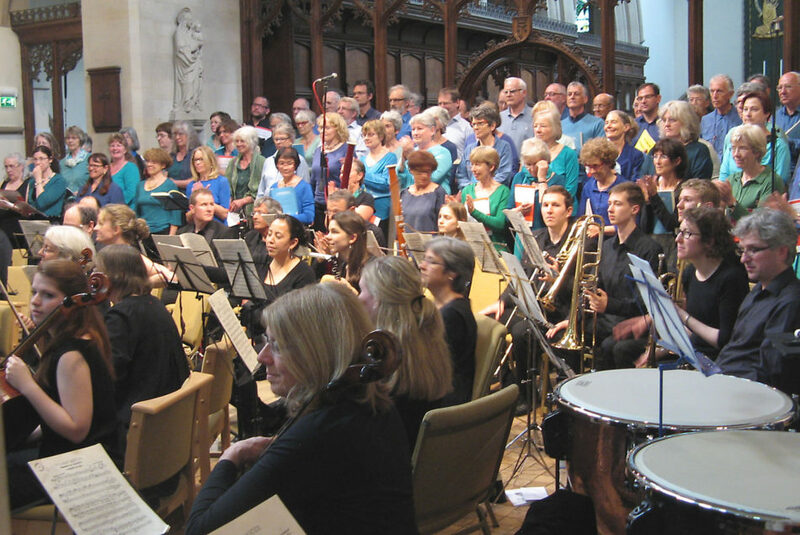 Edward Elgar’s masterpiece choral work is presented by Ensemble Vocal Interlude, Grenoble and the East Oxford Community Choir & Orchestra, conducted by James Longstaffe. Gerontius is sung by Robin Whitehouse (tenor), the Angel by Katherine Cooper (mezzo-soprano), and the Priest by Dexter Drown (bass). The text for The Dream of Gerontius is a poem by Cardinal John Henry Newman that deeply inspired Elgar. In it, an archetypal old man comes to the end of his natural life, and – with the encouragement of Priest and Angel – travels beyond death, confronting the demons of the afterlife along his journey. 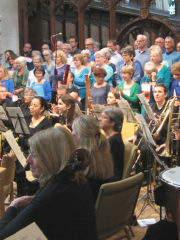 Elgar completed the work in 1900, describing it as a sacred cantata, not an oratorio. Although its Catholic exposition of the passage from life to eternity was initially difficult for Anglican audiences, its brilliance soon earned it extraordinary stature in the choral repertoire. The EOCC has been combining forces with Interlude, Grenoble for 17 years, and are delighted to welcome their ‘twin’ choir to Oxford once again.